Do I Need a VPN to Block Hackers? First of all, let’s talk about what a VPN is. A VPN creates a virtual encrypted network between you and a remote server. What happens is that your internet traffic is re-routed through this virtual tunnel. You are now issued a new IP address of the VPN server. What does this mean? A possible hacker or site will not see your actual IP address. It will be another one created within the VPN. Indeed! Your IP address is masked. This means your location and identity are masked and protected as well. Say you’re at at your local coffee shop with its inviting free WiFi. Free WiFi also invites nearby hackers. 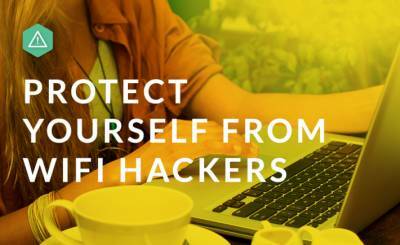 Without a VPN in place, the hacker can easily spot you online while physically connecting you through the free WiFi. With the VPN set up, the hacker will have difficulty tracing you since you’ll be shown to be on a different server or network. Another way a VPN may be helpful is if your country is blocked for specific websites. You’ll be able to select another country via your VPN for this work-around. Blackhat meaning bad, yes. There are those who want to just hide their IP addresses to download free movies and stuff. Yes, VPN’s will make your IP addresses too, but are really meant for remoting into your office network securely. But, where there’s a will, there’s a way I presume. Keep in mind real black hat intended VPN’s have been known to be flagged as some sites won’t allow access if they can’t access your real location. Now, a VPN is not the holy grail in preventing all hackers. You still have things look cookies and online browsing activities that a VPN service may not protect against. You’ll still want to install anti-virus software, firewall, and passwords. Also, have a good back up plan as always. So, what is a good VPN to go with you ask? NordVPN – My absolute favorite! This one lets you surf the Internet privately. Great interface and is loved by Forbes, Wired, and CNET. Hotspot Shield – This one is a good VPN that offers a free and premium version at a military-grade encryption. TunnelBear – Here’s a free one that is easy to operate. Yes, you should consider a VPN to block hackers. But, the one negative about this is some sites won’t allow you to surf their sites if they determine some VPN going on. Why? They know what you’re up to and prefer authentic IP addresses. But, the price of not being able to get on some sites may certainly be worth it for the protection against all hackers.